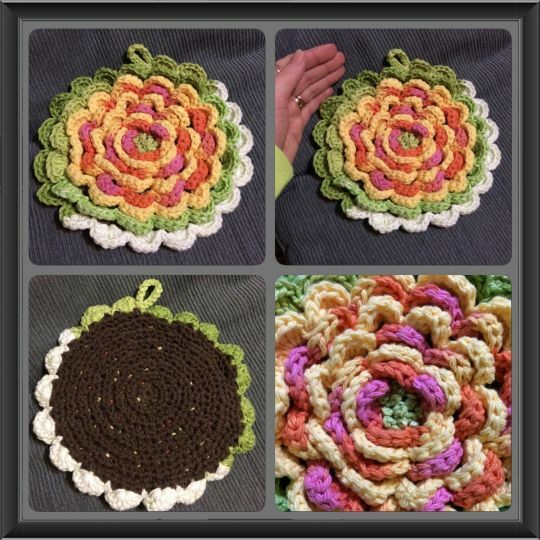 This is a super thick 100% Cotton flower hot pad. The rows of petals make it really thick. This is for my grandma’s birthday. I’ve made her wash rags in the past but she uses them as doilies – lol. I anticipate her handing this on the wall instead of using it as a hot pad.